All the latest news from your local branch of Butterfly Conservation plus highlights from around the UK and beyond. More than two-thirds of UK butterfly species (39 of 57) were seen in higher numbers than in 2017, with two of the UK’s rarest, the Large Blue and Black Hairstreak, recording their best years since records began. But despite the upturn, 2018 was still only an average year for the UK’s butterflies. Around two thirds of species (36 of 57) show an apparent decline since records began 43 years ago, with 21 of these showing significant long-term declines, the annual UK Butterfly Monitoring Scheme (UKBMS) led by Butterfly Conservation, the Centre for Ecology & Hydrology (CEH), British Trust for Ornithology (BTO) and Joint Nature Conservation Committee (JNCC) revealed. Numbers of the threatened Large Blue rose by 58% from 2017 levels and the endangered Black Hairstreak was up by more than 900%. Both species benefited from warm and sunny weather when they were flying in the early summer, whilst the cold spell in February and March may have also helped by improving survival of caterpillars and chrysalises. Brown Argus and Speckled Wood butterflies also thrived, recording their third best year on record. Common white butterflies experienced a good year after a recent run of below-average seasons with Large White annual abundance up 118%, the Small White rising by 155% and the Green-veined White increasing by 63%, again due to warm and sunny weather from April to the end of July. The threatened Duke of Burgundy was up 65%. This butterfly has been the subject of intensive conservation efforts in recent years from Butterfly Conservation and partners, with some of the biggest annual increases seen at conservation sites. The butterfly’s population has stabilised over the last 10 years in the face of a significant long-term decline. The hot spring and summer weather was not ideal for all species. Some grassland butterflies struggled, not helped by drought conditions drying out caterpillar food plants. The Gatekeeper dropped by 20% from 2017 levels and the Small Skipper and Essex Skipper were down by 24% and 32% respectively. It was also a surprisingly poor year for some garden favourites. The Small Tortoiseshell slumped by 38% compared to the previous year and the Peacock was down 25%, whilst the migratory Red Admiral crashed by 75% after a good year in 2017. Professor Tom Brereton, Associate Director of Monitoring at Butterfly Conservation, said: “2018 brought some welcome relief for butterflies following five below average years in a row. But, there were not as many butterflies around as we might have expected given the fabulous weather over much of the butterfly season and overall 2018 ranked as barely better than average. “This and the fact that two thirds of butterflies show negative trends over the long-term, highlights the scale of the challenge we face in restoring their fortunes and creating a healthier environment. Sarah Harris, Breeding Bird Survey (BBS) National Organiser at the British Trust for Ornithology, said: “It is great to see hundreds of birdwatchers taking part in the Wider Countryside Butterfly Survey on BTO/JNCC/RSPB Breeding Bird Survey squares. “By doing so, dedicated and skilled volunteers are bringing together the monitoring of multiple taxa groups at each survey site and contributing to butterfly population trends. This is a fantastic example of how partnerships should work. I encourage anyone interested to take part in the Wider Countryside Butterfly Survey on either their Breeding Bird Survey squares or on Butterfly Conservation's survey squares." The UKBMS has run since 1976 and involves thousands of volunteers collecting data through the summer. Last year a record 2873 sites were monitored across the UK. The Joint Nature Conservation Committee (JNCC) is the statutory adviser to the UK Government and devolved administrations on UK and international nature conservation. Its work contributes to maintaining and enriching biological diversity sustaining natural systems. Please contact Contact the Press Office on 01929 406 005 for more information or to request an interview. 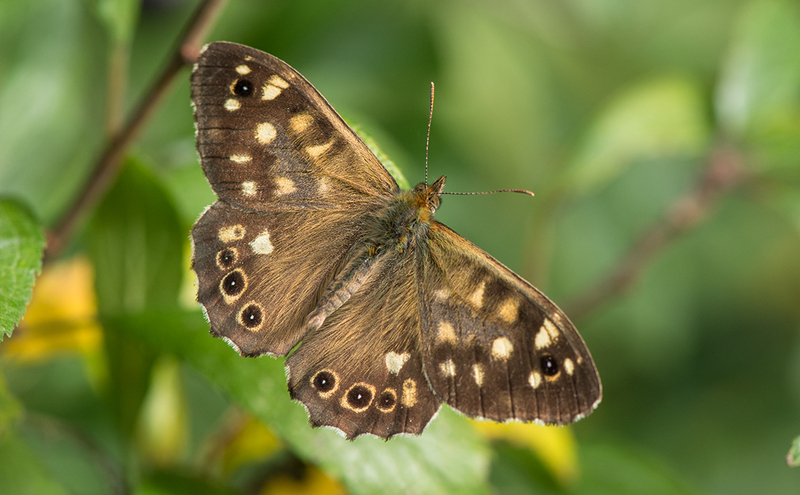 The Speckled Wood did well in 2018, recording its third best year on record. The branch has adopted a stretch of waterway and it's making a positive impact for butterflies and other wildlife at Fenny Compton on the Oxford Canal. 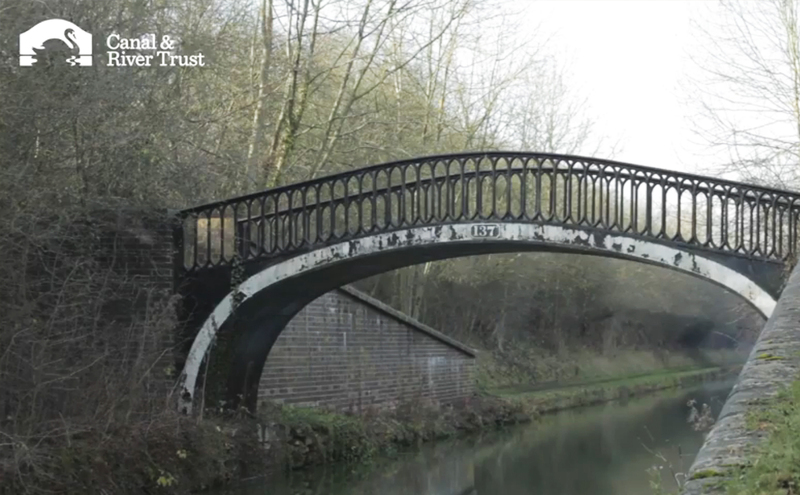 By working together with local groups, the Canal and Rivers Trust is bringing our nation's canals and rivers to life in more ways than ever before. Butterfly Conservation Warwickshire has adopted a stretch of waterway - and wer'e having a positive impact for butterflies and other wildlife at Fenny Compton on the Oxford Canal. Adopting a stretch of canal is all about making a real difference, saving wildlife, changing lives and having fun. Mike Slater, Chair of the Warwickshire Branch of Butterfly Conservation said; "We're helping not only the butterflies but also all the other wildlife here. This has been an important butterfly site for many, many years! I'm Chairman of the Warwickshire branch of Butterfly Conservation and we've been working in partnership with Canal & River Trust for the last four years. We've got one of their Adoption schemes, so what we've done is try to restore these very rare lime-hill calcareous grasslands. We're removing a lot of the scrub that's invaded the site over years, and what's really good, we monitor the site scientifically, and the numbers now for key species have been fantastic - for example, the Grizzle Skipper, where we used to see numbers in just ones and twos, each year now we're seeing virtually 60, which actually proves the work works! Most people here are Butterfly Conservation members, some come because they like the free logs, some are really interested in the ecology, and some basically use it as a 'green gym' to keep fit! We meet lots of locals walking with their children, and with their dogs, and people from their narrowboats - and they're always very interested in what we're doing, especially the children, and that's fantastic, they really love it! Where we're working today is the south-facing bank of the canal, the sun shines on it a lot, and butterflies being cold-blooded need that warmth to grow to a chrysalis as soon as they can. That bank will be very important for all these rare butterflies now found on the site thanks to the conservation work we've done. It's like a snowball going down a hill, the more you do, the more success you have, and it makes you want to do more because you know it works! And that's where I think the Canal & River Trust are fantastic, because they've got all these sites and they keep saying to me 'How do you fancy doing a bit of work over here?' And if we can, we will do! Please contact Mike Slater for more information or to request an interview. Branch wins Natural Environment category for their work to save rare butterflies at Fenny Compton Tunnels. After a series of visits and assessments, which saw expert judges travel across the country, an independent panel of experts, led by Christopher Rodrigues CBE, selected its finalists for the 2016 Living Waterways Awards. From inspirational visitor centres and vibrant theatrical performances, to innovative education projects and pioneering environmental initiatives, winners are listed under nine award categories with a team of volunteers from the Warwickshire Branch of Butterfly Conservation winning the Natural Environment category for their work to save rare butterflies at Fenny Compton Tunnels. 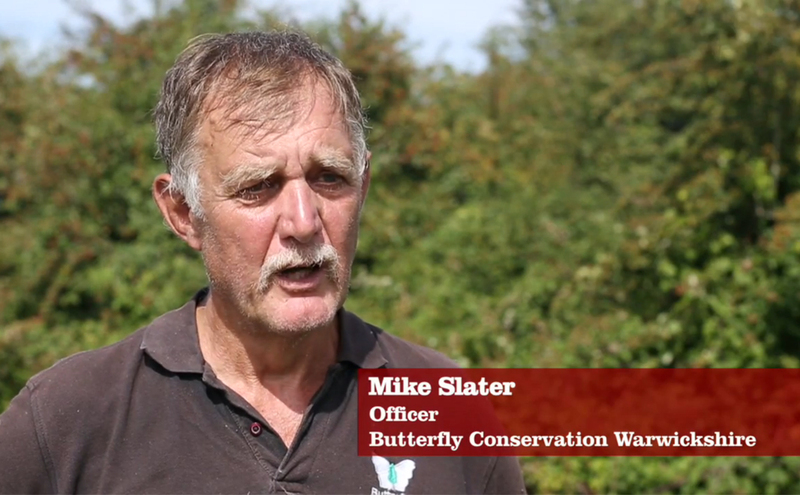 Mike Slater, Chairman of the Warwickshire Branch of Butterfly Conservation talks about the butterflies of Fenny Compton.